A second example from the same specimen. 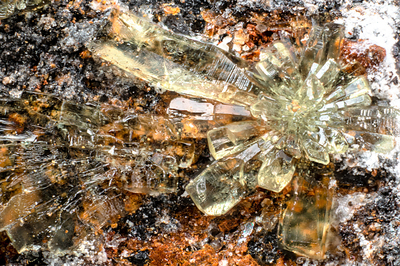 Prismatic crystals, light yellow, transparent and shiny, arranged also as flower-like aggregates. Collection and photo of Gianfranco Ciccolini. Nikon D750, bellows, Luminar 16 mm.